Google has managed to rise up against its contemporaries and is now considered to be the most popular search engine site at present time. 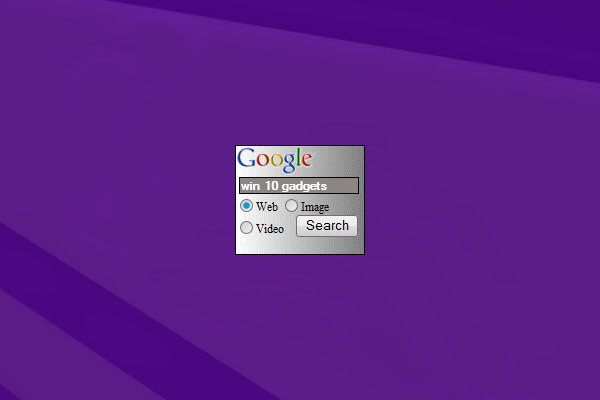 With the use of this search gadget, there is no need to open your own browser anymore just to search. Just use this search engine bar and you can be sure that your new browser will open on its own. You can still get the answers that you are searching for without having to make a lot of effort. 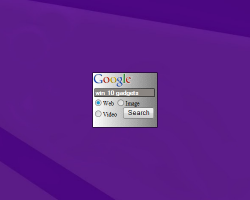 Since this is a small search bar, placing it on some parts of your desktop will not be an issue.